Lyudmila Belan’s father was in the Soviet Army and served in, among other places, the Primorsky Krai, Russia’s far eastern seaboard, where Lyudmila spent her childhood. Then he was posted to Ukraine. The family arrived there as Soviet nationals, but when the USSR broke up they all found themselves citizens of a completely different country. As Lyudmila says, they didn’t choose to be Ukrainians; and although she has spent more than half her life in Ukraine, completed her education, got married and had a son there, she always wanted to go back to Russia. Under Russian law, it covers not only former Soviet citizens but even residents of the old Russian Empire. In 2009, Belan found out about a Russian government resettlement scheme that had been set up two years earlier for people, like her, who had ended up in the wrong country. The scheme is open to anyone recognised by Russia as a ‘compatriot,’ a definition that applies to an enormous number of people, especially as, under Russian law, it covers not only former Soviet citizens but even residents of the old Russian Empire, which collapsed in 1917. So someone resident in any former Soviet republic – Tajikistan or Uzbekistan for example – could be a compatriot, and so could the descendent of someone who emigrated from Russia a century ago. The programme is aimed at former compatriots in post-Soviet states, but could theoretically apply to almost any Russian-speaker. The definition rests on the concept of a ‘common culture,’ though the law does not define exactly what is meant by that term. Essentially, the main criterion for inclusion in the scheme is an ability to speak Russian; ethnicity is not a factor. Moreover, compatriots can bring their extended families – wives, husbands, children, brothers, sisters, and parents – to Russia with them. The re-settlers have to pay all their own expenses for travel and transportation of their possessions. But the big attraction of the scheme is that they are fast tracked for Russian citizenship, which they can receive after only six months. While they are waiting they have the same employment rights as Russian citizens, and their children have the right to free places at schools and pre-school facilities. This is a big concession: normally, Russian citizenship is granted only after six years of residence, and aspiring citizens have to apply separately for a work permit and a temporary residence permit, and pay income tax for these six years not at the usual 13% rate, but 30%, like any other foreigner in Russia. The big attraction of the scheme is a fast track to Russian citizenship after only six monthBut the resettlement programme is not quite so simple or attractive as it seems: people joining the scheme cannot choose just anywhere in Russia that they want to be resettled. Forty-five regions out of eighty-five (including Crimea and Simferopol) are open to them, but Moscow and St Petersburg do not feature on the resettlement list. The compatriots then have to stay in their chosen region for a minimum of two years; and they can be turned down by the regional authorities if their skills do not match demand in the area. The authorities, however, generally get their information about employment opportunities from government jobcentres, where work in schools, hospitals, industrial plants and factories figures prominently. Large private companies, looking for middle and senior managers, software engineers or programmers, are much more likely to use private recruitment firms. So a compatriot coming to his local Russian embassy to apply for resettlement will usually hear that Russia needs machinists, riggers, packers, electricians, teachers and medical staff, often in rural areas. A professor of history was told he would have to work as a teacher in a village school. At Russia’s Federal Migration Service (FMS), which is in charge of organising resettlement and applications for citizenship, they admit that there have been cases such as that, for example, of a professor of history who was told by the authorities in his chosen region that he could not come to Russia if he wanted to submit his doctoral thesis at a university, but could receive citizenship if he agreed to work as a teacher in a village school. When journalists Yelena and Oleg, from Tajikistan, visited their Russian embassy, their profession was not even included in the list of accepted occupations for the city of Tver, 160km from Moscow. In general, they were told, the region needed ‘dairy workers, packers and electricians.’ Furthermore, resettled compatriots are often not simply given temporary accommodation – they have to find it for themselves. The aim of the scheme is not to return all former Russian citizens to the motherland, nor is it designed to create a new USSR. The return of compatriots is an attempt by Russia to solve its internal problems: to halt its less than rosey demographic forecast; its major population drain from regions such as the Far East; to find people to do unpopular and often low paid work, and to be less reliant on illegal migrant workers. But the restrictive conditions of the scheme have been a disincentive, and fewer compatriots are returning than the authorities expected. As a result, only 50,000 people on average have used the opportunity in each of the last few years, half of the projected figure. Perhaps unsurprisingly, the far eastern regions remain among the least popular for resettlement; returning compatriots prefer areas closer to Moscow. The return of compatriots is an attempt by Russia to solve its internal problems. The Far East of Russia has also been particularly badly hit by a population haemorrhage, with numbers in 2013 down by 15% compared with 2012. Resettlers are not even filling the unpopular jobs available; many compatriots change employer not long after they arrive. When Lyudmila Belan and her husband arrived from Ukraine they initially got work at the Ussuriisk paper and board mill, but soon left because the wages were so poor. Lyudmila is now the manager of an outdoor clothing and equipment shop, and her husband is working for the oil transportation giant Transneft. The people keenest to take advantage of the resettlement scheme are citizens of Kazakhstan, Uzbekistan, Armenia, Moldova and Ukraine. 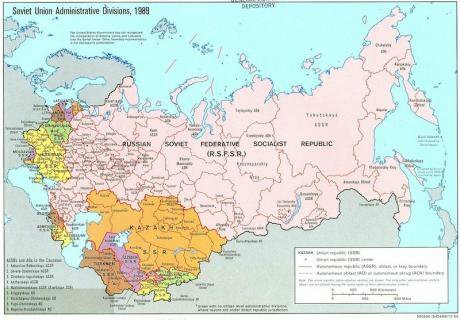 People whose first language is Russian want to leave Central Asia because of the decline in Russian spoken in the region, and the increasing difficulty of finding Russian language-based education for their children. Educational opportunities in general are declining: in Uzbekistan, for example, children now have only nine years of schooling, rather than eleven, as before. In addition, a lot of cities do not have either adequate lighting or heating, and so people understandably want better living conditions. Russian speakers in Central Asia want their children to have their education in Russian. For people from Armenia and Ukraine, resettlement is more about low wages and unemployment at home than any heartfelt need to live in Russia. Those who came from Ukraine before the present political crisis also usually mention the political and economic instability there. Sergei, a former resident of the Ukrainian city of Vinnitsa, for example, says that his family lost their business after the 2008 crisis, and he could not see any further prospect for development in his own career, either in business or his main profession as a doctor. Officials at the FMS say the number of Ukrainians wanting to join the scheme has gone up since the start of the present unrest there, although the statistics suggest the increase is insignificant. 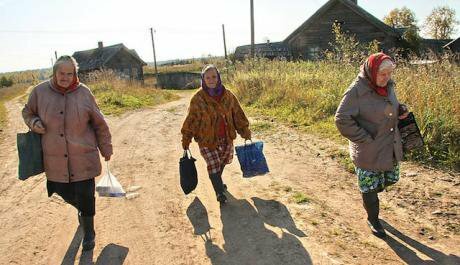 According to figures published on 15 April by Russia’s Ministry for Regional Development, there have been 1900 applications for resettlement from Ukraine since the beginning of this year, while 15,000 people left the country for Russia in 2013. The Ministry has already asked regional authorities to process applications more quickly. But Ukrainians, both before and after the present crisis, have generally preferred to move to Russia under their own steam, without official help and without being tied to the conditions of resettlement. FMS figures show that almost 3000 Ukrainians have applied for temporary Russian citizenship since the start of 2014, and over 15,000 have applied for temporary residence, itself a stage on the way to citizenship. Officials in Russia’s Rostov region, which borders on Ukraine, also told me that those Ukrainians who applied to them for Russian citizenship in the wake of Ukraine’s change of government had either been living and working in the Rostov area for years or have close relatives – parents or children – living there. So there were no queues at the border, and the sanatorium beds specially freed up for the expected refugees were left empty. The trickle of resettlers does not compare with the stream of illegal migrants. There have been very few applications for resettlement from compatriots living in Western Europe. The largest number has come from Latvia – 674, with 472 people applying from Germany and 204 from Israel. The FMS is keen to stress that this is not a repatriation programme like those in Germany and Israel, where Germans and Jews respectively are helped to relocate. Russia, on the other hand, is a multi-ethnic country. But not everyone is welcomed back. The scheme does not cater for highly educated professionals; for compatriots with an established career abroad, the only thing that they would receive of any possible benefit to them is citizenship. Nor does it solve the problem of illegal migration – or at least not yet; the trickle of people who have taken advantage of the scheme does not compare with the stream of illegal migrants. For the resettlement scheme to work, Russia will have to drop all its current restrictions and make the process less bureaucratic. Above all, it needs to decide what type of resettlers it needs more – people whose one advantage is that they have the right ancestry, or people who can contribute to the economy..